Honey on of natures tastiest forms of sweetener. We put it in our tea, we bake and cook with it but what do we really know about honey. Well I know that I enjoy honey, but am terrified it will get in my hair and become a sticky mess. But in all seriousness honey, I am not talking about the overly processed junk that comes in a bear, in a raw and organic form is just packed full of benefits for us humans. So what is honey good for besides helping to reduce the amount of refined sugar in my baked goods? Well here is a list! Energy Boost, honey is a great way to give yourself that boost you might need for your next long run or rough weight session. The glucose found in honey can be used in a similar manner to carbohydrates and energy drinks that one might consume during a particularly intense training session. Instead of filling your body with sports drinks riddled in high fructose corn syrup give honey a try for that energy boost. Relax and get more sleep, this might sound super ridiculous considering I just said it was a great way to boost your energy levels, however the spike in insulin can also help your brain absorb that great chemical compound typically shared by family members after a thanksgiving meal, tryptophan. Tryptophan helps promote relaxation and sleep. I have heard that the best form of honey to test this out with is honey straight from the comb. Anti-bacterial, anti-viral, anti-fungal. Who would have though honey was so anti-everything!? The pollen with a mix of a “bee glue” (what the bees use to make their hive and seal out dangerous viruses and such) help create these anti-bacterial/viral/fungal properties. However these properties are lost in the refinement process, hence it being important to get raw and organic honey. Great for your skin. Although because of my how “it is going to get in my hair” fear I would never put honey on my skin (maybe if it was super diluted) it is great for getting rid of blemishes. 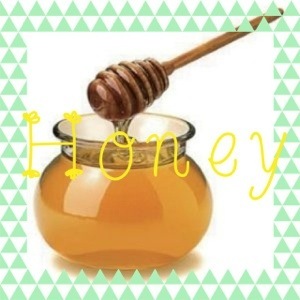 It is also great at moisturizing your skin, honey not only helps to attract moisture, it helps lock it into your skin and hair because of this a lot of natural cosmetic companies use honey as a natural moisture enhancer. It is soothing. When you are sick adding a spoon full of honey to a cup of hot lemon or ginger water will help to sooth that scratchy throat of yours. Also because of the anti-bacterial properties mentioned above it will give your immune system that little kick it needs. But don’t think you have to be sick to enjoy the soothing effects of honey, if you are someone that speaks all day, sings or otherwise strains your vocal cords regularly consider having some honey to help relax those muscles. This entry was posted in Food, Health and Fitness and tagged digestion, health, Health benefits, healthy-living, honey, organic, raw, relaxation, skin by healingginger. Bookmark the permalink.